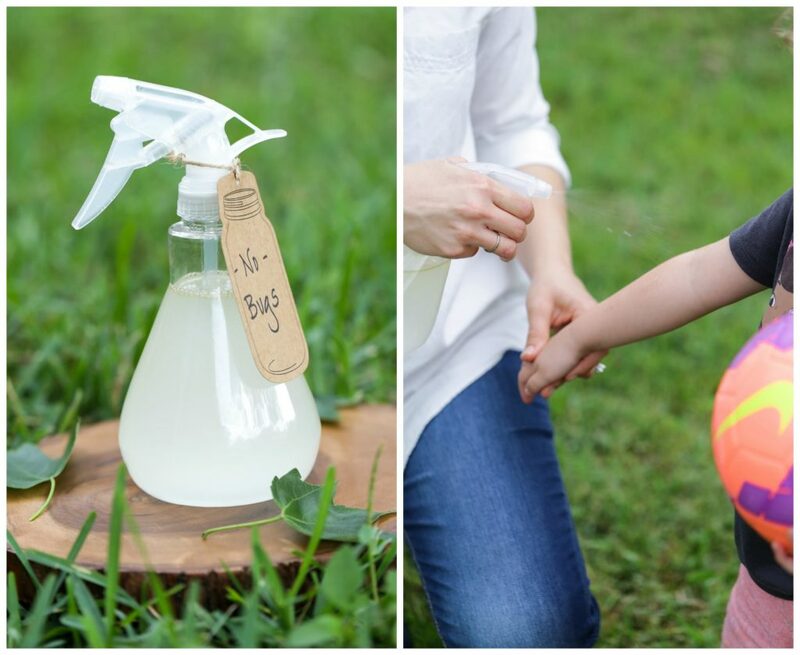 I’ve been hesitant to make my own bug spray, but Spring 2015 has been the season of conquering DIY hesitations. So far the successful conquering includes this DIY bug spray and a homemade deodorant. My fears (for both DIYs) have been rooted in the fact that I live in Florida. I know, you’re probably already daydreaming about sandy beaches and gorgeous sunsets. I really hate to burst the tourist bubble, but Florida is also known for less attractive qualities–lots of flesh-eating bugs and extreme heat (Ever cracked an egg on your drive-way and cooked breakfast? Yea, extreme). Put the two together and you get a royal disaster for extremely hot summers full of nasty bugs. Welcome to Florida! Let’s talk bug spray today. We’ll leave stinky armpits for a later date. How about next week, okay? I’ll admit, the idea of a DIY bug spray crosses my mind every summer. I’ve also googled “homemade bug spray” and researched many recipes. Every homemade recipe usually scares me away. It’s not that a bug spray is tricky to make. Oh no, it’s more like the super long list of essential oils needed to make an effective spray. I love essential oils and keep quite a few on hand, but the idea of having to purchase multiple unique oils and know exactly how to use each one doesn’t appeal to my simple DIY mind. In 2014, Plant Therapy introduced a line of kid-safe essential oils developed with the help of Robert Tisserand. One of the oils that instantly caught my eye in the new line was Shield Me, a kid-safe blend designed to keep the bugs away, naturally. I was thrilled to find an oil blend specifically designed with the exact amount of oils I need to make a safe and effective bug spray for my whole family. I bought my first bottle of Shield Me (formerly called, Ban the Bugs) as soon as the spring heat arrived. 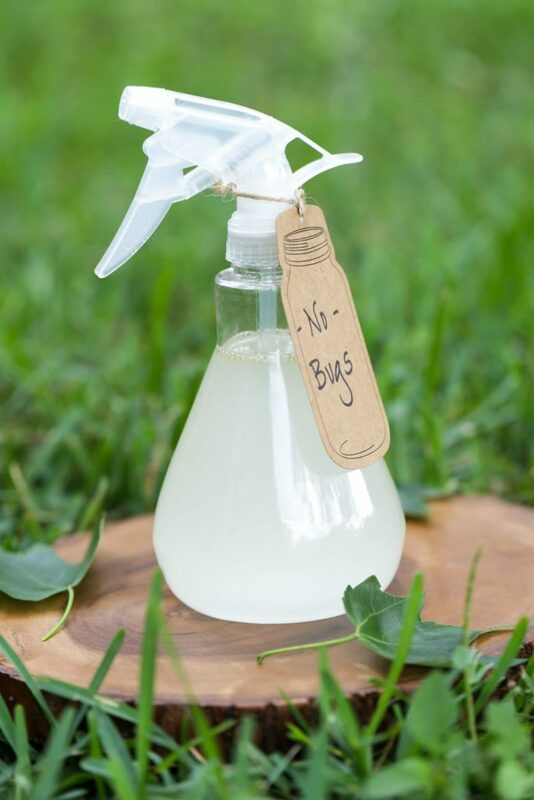 With a few simple ingredients a homemade bug spray was created, and I couldn’t have been happier with the results. 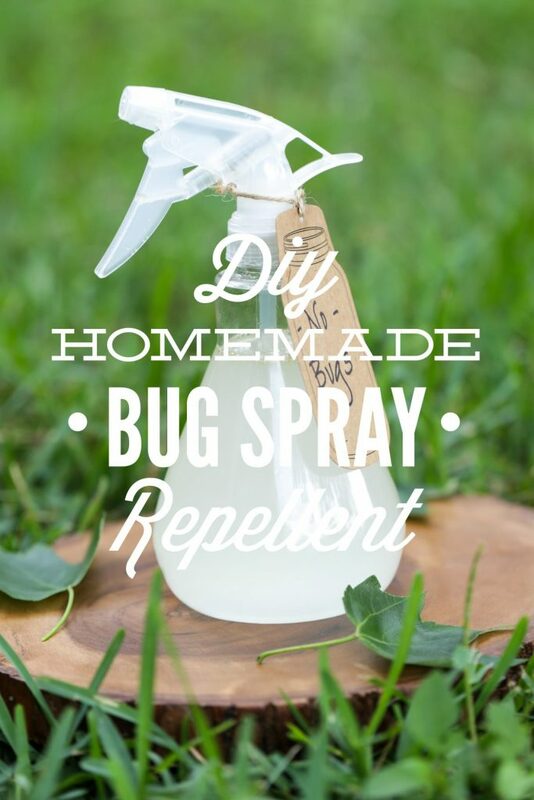 Now that I’ve successfully conquered homemade bug spray, I get to share my recipe with you! High-Proof Vodka or Witch Hazel: High-proof alcohol is known for its ability to kill insects, even pesky mosquitos. We’ve used alcohol for years as an air-spray during the summer to instantly kill mosquitos that accidentally make their way into our house, as well as other pesky bugs. If you end up with a small bite, vodka (or any high-proof alcohol) can also aid in taking the sting away. Glycerin: Glycerin is added to balance the harsh alcohol on the skin. Glycerin adds nourishing moisture without weighing down the light spray. If you don’t have glycerin, any nourishing oil will work: fractionated coconut oil, olive oil, jojoba oil. 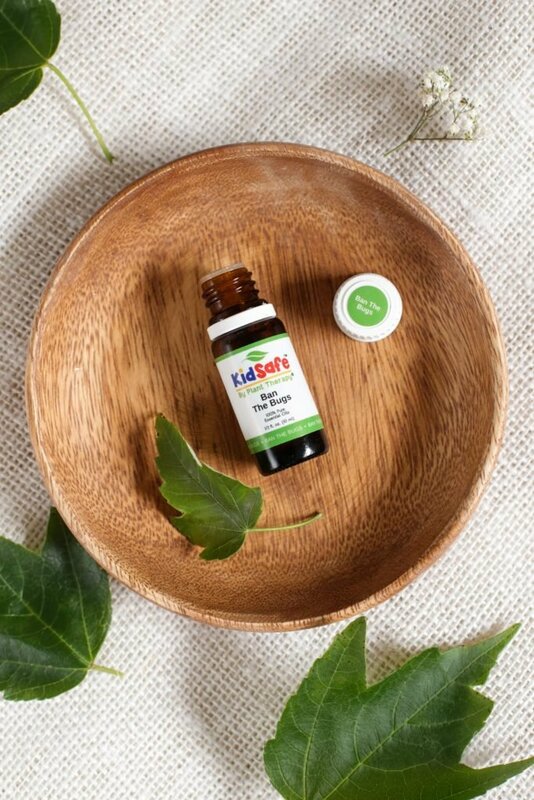 Shield Me Essential Oil Blend: Plant Therapy’s kid-safe blend is specifically formulated using five bug-fighting essential oils: Citronella, Grapefruit, Geranium Bourbon, Rosalina, Patchouli. Plant Therapy also makes Insect Shield which is not specifically labeled “kid-safe.” If you don’t have children, Insect Shield is your blend of choice. Pure Vanilla Extract (optional): Mosquitos, black flies, gnats, and even ticks hate vanilla. This simple kitchen ingredient is optional. It can be added to boost the bug-fighting power of this spray. Make sure your vanilla extract is pure and doesn’t contain sugar (high fructose corn syrup). Sugar = a yummy bug dessert. 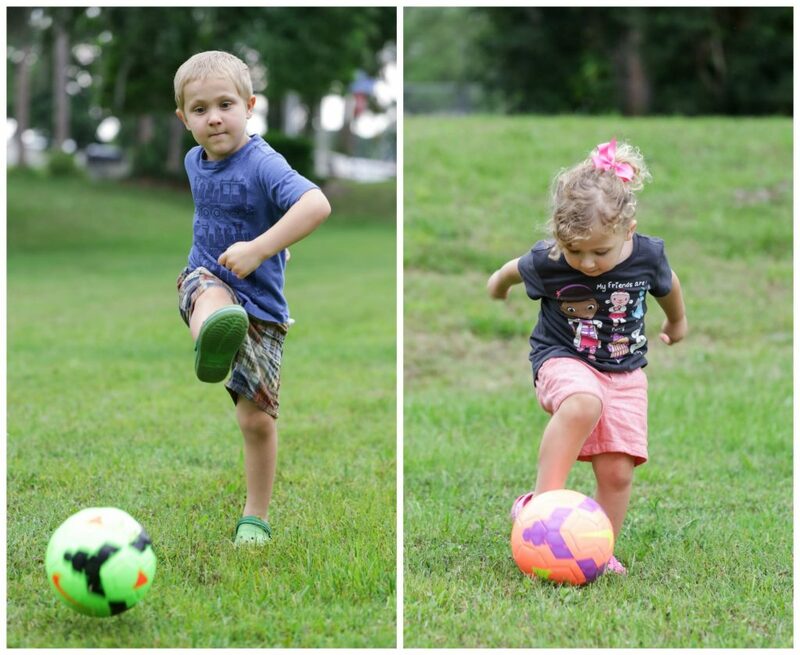 Finally, we can play all summer long without worrying about the Florida bugs. PS: Florida is still amazing and perfect. Just make sure you add a few bottles of my homemade bug spray repellent and deodorant to your bag before you visit. 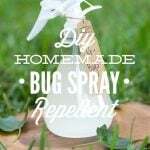 Now that I’ve successfully conquered homemade bug spray, I get to share my recipe with you! 1/4 cup vodka 150 proof grain vodka works very well. Witch hazel or rubbing alcohol may be used as a substitute. 1 TB vegetable glycerin fractionated coconut oil, jojoba, or olive oil may be used as a substitute. Using a funnel, pour the vodka and Shield Me into the bottle. Next, add the water and glycerin (or nourishing oil). Secure the lid on the bottle and shake to incorporate the ingredients. To Use: Shake the bottle before each application. Spray the bug repellent on the skin, rubbing on the skin if needed. If you're dealing with gnats, you can also spray the bugs directly. This recipe is safe to use on children and adults. 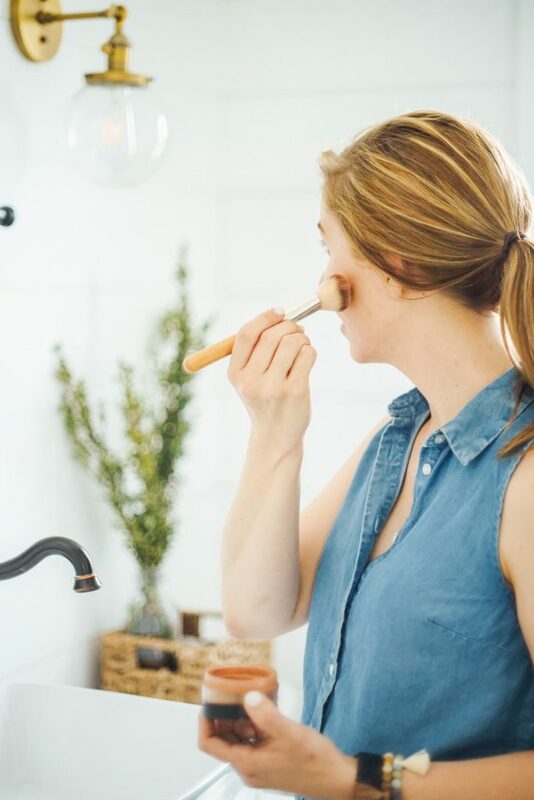 Option 1: If you’re short on time or ingredients this essential oil blend can easily be diluted with fractionated coconut oil and then applied directly to the skin. According to Plant Therapy’s Shield Me label: Add 40 drops of Shield Me (formerly, Ban the Bugs) to 2-ounces of fractionated coconut oil. Shake well and spray directly on the skin. Option 2: Since I use this spray on my kids, I prefer to dilute the vodka with water. 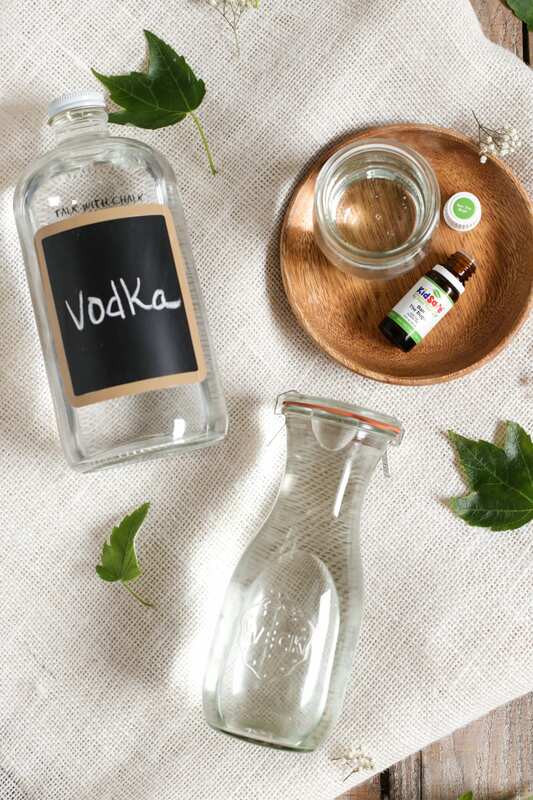 The dilution isn’t needed for adults, if you don’t mind the strong vodka smell which is masked pretty well by the essential oil blend. If you choose to skip the water dilution you’ll want to decrease the amount of essential oil. Use 40 drops per 2 ounces (about 1/4 cup) of liquid. You’ll still need a moisturizing liquid/oil, such as: glycerin or a nourishing oil. As with any homemade remedy, I highly recommend testing this spray first on one leg (or a small area of the skin). This is how I always test my homemade products before relying on a recipe 100% for protection. This is the recipe that’s working best for my family, in our environment, but feel free to tweak the recipe according to your needs and environment. This post was written as a collaboration with Plant Therapy. As a blogger, I’m privileged to partner with companies making a difference in the natural and real food world. I was already using Shield Me (and this recipe) before our collaboration. About how many drops are in a bottle or mL of EO? Just curious if you had an idea…and also, I thought somewhere I had read that EO stuff (DIY, like hand soap) shouldn’t be stored in plastic bottles. Is that true, do you know? Hey Helen, Here’s a really handy conversion table I use for determining the approximate number of drops per essential oil bottle: http://mountainroseblog.com/dilutions-conversions/. Glass is the recommended storage container for essential oil DIYs. For a long-term use product, I go with glass (I love these bottles). For a short-term use product, I’m okay with storing my essential oil DIYs in plastic. Do you have to use a glass bottle? I can’t tell from your pic if it’s glass or plastic. Hey Shanayc, If you’re looking to store the bug spray long-term I recommend using a glass bottle. For short-term use a plastic bottle will work just fine. Love the natural way to repel bugs. My kids hate the stinky bug spray at the stores. After using this on them, they love it and I fell safe for my kids using them. Thanks. Wonderful, Hayden! I’m so glad your kids like the bug spray. this recipe sounds wonderful. can’t wait to make it. how would I find out if it is pet safe? I know you would think if it is safe for kids…should also be safe for pets. But that is not always the case. just thought you might have some info on that. thanks. and love your site! Hey Peggy, Great question. I’m going to email Retha at Plant Therapy and ask her about the pet safety issue. I’ll let you know :). How often do you have to reapply to keep the bugs at bay? Hey Courtney, It depends on how much we sweat. Lately, due to the Florida heat, I reapply the spray every 2 hours. I bought 80 proof vodka, would leaving the water out make this about the same strength as your recipe with 150 proof and water? And then just reduce the oil in half as well? Hey Rachelle, You can definitely try reducing the water. Just make sure the alcohol doesn’t irritate your skin (without the water). Let me know how it goes! Hi! Do you know if the kid safe version is also pregnancy safe? Also, does it by any chance ruin clothes due to the glycerin or possible oil content? Hey Holly, I’m not sure about pregnancy-safe. One of my favorite sites for essential oil safety is Learning About EOs. Here’s a great article with a long list of essential oils to avoid: http://www.learningabouteos.com/index.php/2013/08/06/essential-oil-safety-during-pregnancy/. If any of the oils from the essential oil blend are on the list I wouldn’t use Ban The Bugs. The glycerin and oil won’t stain clothes when you gently mist your skin and clothing. Just don’t heavily apply the solution to clothing. Hi! I want to give this a try but I have a few questions before I start ordering the materials. How many drops does one 10mL bottle of ban the bugs contain? Do you think the glycerin oil is less oily than coconut or other oils? I have olive oil and coconut already but I would get the glycerin if you think it is worth it? Also, how many ounces does one bath of this make? You linked a 16oz bottle but I was wondering if a small size would work. Finally, do you think this vanilla (http://www.mccormick.com/Spices-and-Flavors/Extracts-and-Food-Colors/Extracts/Extra-Rich-Pure-Vanilla-Extract) is ok? That is what I already have. Thanks so much for all your help! Hey Katie, This is a super handy chart for determining the amount of oil per bottle: http://mountainroseblog.com/dilutions-conversions/. A 10ml bottle should yield around 170 drops of oil. I’ve never really measured the drops, just basing that number off the chart. I like glycerin because I feel it sticks to the skin better than coconut oil. Glycerin is a bit thicker than a nourishing oil (like coconut oil), and I believe it’s less oily (based on my experiences over the years). The 16oz. bottle is the brand (and bottle) I keep on hand for all my cleaners and DIY projects, but this recipe only makes 4oz, so you’ll have lots of extra “air” room. I usually double this recipe (resulting in a half full bottle). The vanilla you listed is perfect! I have a 70 lb. Boxer. What changes (if any) are recommended to make this a pet friendly blend? Hey Amanda, I’ll ask Retha (an aromatherapist at Plant Therapy) and get back to you early next week. Hi – I think the “Ban the Bugs” name has been changed to “Shield Me”. I was just looking at their website, and I believe this is the case. Hey Noel, Thank you for sharing! I just looked it up, too, and you’re right. Hi Kristin. I don’t have any kids but I like the idea of using the kid safe blend for this recipe so when my nieces and nephew are over I may use on them as well. Only question is, do you think the kids safe blend is maybe not as effective for adults as compared to the adult blend? Debating if I should just make two small recipes to accommodate both. Hey Megan, I think they are both effective. The kid-safe version is made with oils that may be safely used around children (some oils aren’t safe around kids). The non-kid-safe oil blend works the same, in my opinion, but may use some oils that aren’t safe around kids. I would definitely make the kid-safe version for your nieces and nephews, just to be safe :). How young is too young? Are children under a year OK? Hey Noel, Hmmm, I’m not sure about children that young. I would recommend contacting Plant Therapy: http://www.planttherapy.com/contact-us. They are very responsive and informed about specifics. Hi Kristin! What is the shelf life on this spray? Thanks so much! Hey Kristina, If you’re using distilled water, then about a month. Since you’re using water, don’t you need a preservative? Hey Chris, Yes, if you’re going for long-term use. This is a short-term product (small batch). Use it within a few weeks, using your best judgment, and use distilled water. Can I use my (actually your) homemade Vanilla with this? What type of pull does the vodka proof play? I have 80 proof and am wondering if that will play a factor in effectiveness or not? Hey Noel, 80 proof is good.